Thanks to all our readers who entered and supported our 2017 Literary Contests at Still: The Journal. We are happy to announce our winners in fiction, poetry, and creative nonfiction. The first-place winners and the judges’ choices appeared in our Fall issue #25. Thanks also to our judges: R. Dean Johnson for fiction, Marc Harshman for poetry, and Sarah Einstein for creative nonfiction. R. Dean Johnson grew up in California and now lives in Richmond, Kentucky with his wife, the author Julie Hensley, and their two children. The author of a novel, Californium; and a story collection, Delicate Men, his work has appeared in The Louisville Review, Salt Hill, Slice, The Southern Review, and elsewhere. An Associate Professor at Eastern Kentucky University, he also directs the low-residency MFA in creative writing program, Bluegrass Writer Studio. 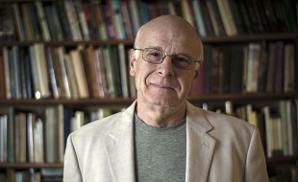 Marc Harshman is currently the seventh poet laureate of West Virginia. His second full-length poetry collection, Believe What You Can, won the 2017 Weatherford Award for Poetry. He has authored over a dozen children’s books, including The Storm, a Smithsonian Notable Books, and most recently, One Big Family. His work has appeared in The Georgia Review, Emerson Review, Salamander, and The Chattahoochee Review and has been anthologized widely. His monthly show for West Virginia Public Radio, “The Poetry Break,” began airing in January, 2015. 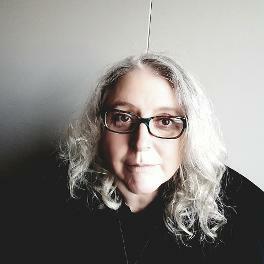 Sarah Einstein is the author of Mot: A Memoir (University of Georgia Press 2015), which was awarded the AWP Series Prize in Creative Nonfiction, and of Remnants of Passion (Shebooks 2014). Her essays and short stories have appeared in The Sun, Ninth Letter, Walk Till the Dogs Get Mean and other journals and anthologies. Her work has been awarded a Pushcart Prize and a Best of the Net Award. She earned the MFA in Creative Writing from West Virginia University and the Ph.D. in Creative Nonfiction from Ohio University. Born in Huntington, West Virginia, Sarah Einstein teaches Creative Writing at the University of Tennessee at Chattanooga.